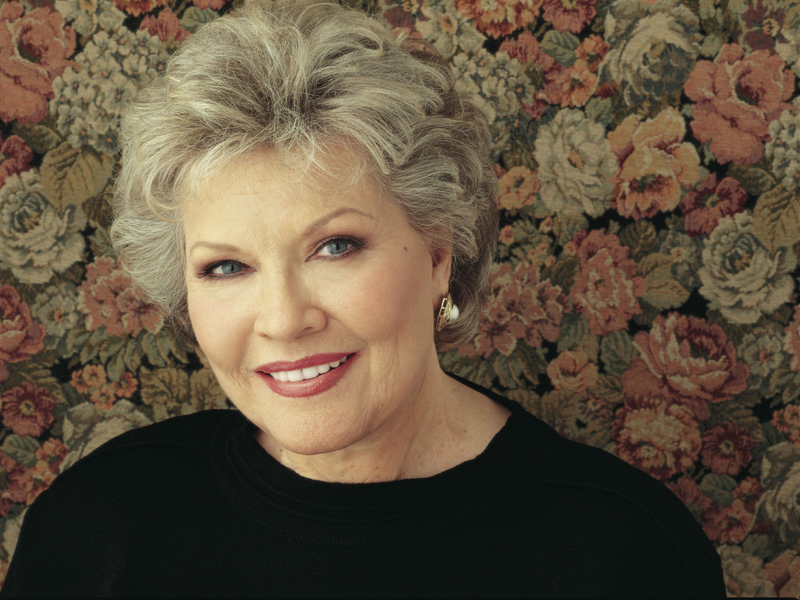 Stars are remembering Patti Page, the singer behind "Tennessee Waltz," who died on New Year's Dayat 85. Page was the top-selling female singer of the 1950s with more than 100 million records sold. Among her songs were "You Never Looked That Good When You Were Mine," a collaboration with George Jones. Jones remembered Page in an email to The Associated Press: "I just loved singing with Patti and she hit notes I never dreamed of. We cut some songs together and it was a great time. She'll be missed by lots of folks and everybody needs to know how great she was. Patti was a wonderful singer with a real special voice." Actress Evan Rachel Wood, meanwhile, took to Twitter to pay tribute to the late singer: "The amount of times I have lost myself singing a Patti Page song cannot be counted." Singer Charlie Daniels tweeted: "We've been using Patti Page's Tennessee Waltz to open our show for decades. We salute you Mam"
Carrie Underwood wrote: "Rest in peace, Patti Page...a fellow Oklahoman who helped pave the way for so many of us ladies in music." Actress/singer Patti LuPone tweeted: "RIP Patti Page. She has "Crossed Over the Bridge" into "Old Cape Cod". #Love #Singin'Rage"
Songwriter Diane Warren tweeted: "RIP Patti Page. Thank U for the music." Bebe Buell wrote: "RIP Patti Page. I grew up with her voice... a pioneer and one of a kind innovator. xoxo"
Neil Portnow, CEO of The Recording Academy, released the following statement: "Grammy winner Patti Page was an extremely talented artist known for her unique and smooth vocal style. Throughout her seven-decade career, Page had hits such as '(How Much Is That) Doggie in the Window?,' 'Old Cape Cod' and her version of 'Tennessee Waltz,' which kept her on the top of the charts and made her one of the top-selling female artists in music. I recently had the privilege of speaking with Ms. Page and informing her that she would be recognized with The Recording Academy Lifetime Achievement Award this upcoming February, and she was grateful and excited to be receiving the honor. Our industry has lost a remarkable talent and a true gift, and our sincere condolences go out to her family, friends and fans who were inspired by her work."